Discussion in 'Mac Pro' started by flyman, Oct 14, 2012. Ok so I've now come to the conclusion that the time is now right to go ahead and replace my ailing GT8800 in my 3,1 Mac Pro. Ideally I'd prefer a card with 2 x 6 pin power so I think that would rule out the Gigabyte card. With Evga, everyone keeps saying how good their customer service and RMA are but as I'm in the UK I'm not sure it applies? Finally the Asus card gets very favourable reviews but I believe they've had alot of issues with dying cards...mind you so did EVGA with the 670 OC! So with all these factors I'm at a bit of a loss as to which one of these to choose. Incidently at the moment it seems to be a toss up between the EVGA or the Asus card. Any advice here would be most welcome and thanks in advance! I would get the EVGA if I were in your position. Any idea what there warranty and customer service is like in the UK? I understand that this card blows the air out the back rather than around the insides so is this the best idea for the Mac Pro? Card is quiet as a mouse and temps are very good. No airflow issues. Very happy with the 670. If their customer service is anything in the UK like it is in the US, it is excellent. No complaints. Just don't expect tech support on Mac related issues. As a matter of interest do any of the manufacturers assist on Mac related issues? I'd recommend checking the review sites. They objectively test the noise and benchmarks. I have the Gigabyte one and couldn't be happier (or could I?). finally, go on Newegg.com and read the reviews there and get an idea of the failure rate. It's not scientific but it works. As far as mac support, I really wouldn't bet on it. You might get lucky with NVidia though. Thank you but I've already done a load of research on the sites mentioned and it appears that the EVGA 670 FTW has been the most sort after due I think to the quality of their cards and customer service? Anyway I've decided to go with the EVGA card and see how things go. And default clock speed doesn't hurt. EVGA has fantastic customer support, and I've been using their cards exclusively for a long time. Never had any problems at all, but it's nice to know the support is there if I ever do end up needing it. Well I'm sitting here waiting for the card to arrive and I just wondered which PCI slot I should install it in? Also, would it be worth keeping my existing 8800GT installed if its at all possible? If anyone can help me with this it would be really appreciated! The GTX670 needs 2 power cables, the 8800Gt needs 1 you only have 2 connector points on the mobo so you would have to run another line from a drive bay or an auxiliary PSU to have both. Check the FAQ thread, but I'll answer here as well. People have reported issues with slot 0 (the one closest to the CPU) in some cases, so I generally recommend that you install it in the other 16-lane slot. The FAQ thread has more details on this. I'd suggest taking the 8800 out of the machine, but hang onto it in case you need a boot screen for some reason. Store the card in a static-proof bag if at all possible. Where do I find the FAQ thread and also how do I power this bad boy!? Do I need an additional 6pin to 6pin lead as I only have the one coming from the mother board. I presume the 6pin to molex that came with the card are of no use? Check the thread for info on power cables, you will need 2 6-pin power cables to run the GTX 670. Molex adapter is indeed useless for this. You said I should put it in slot 0 but mine are numbed 1,2,3 & 4 so shall I use slot 2. Just ordered 2 of these by the way, do they look ok to you? 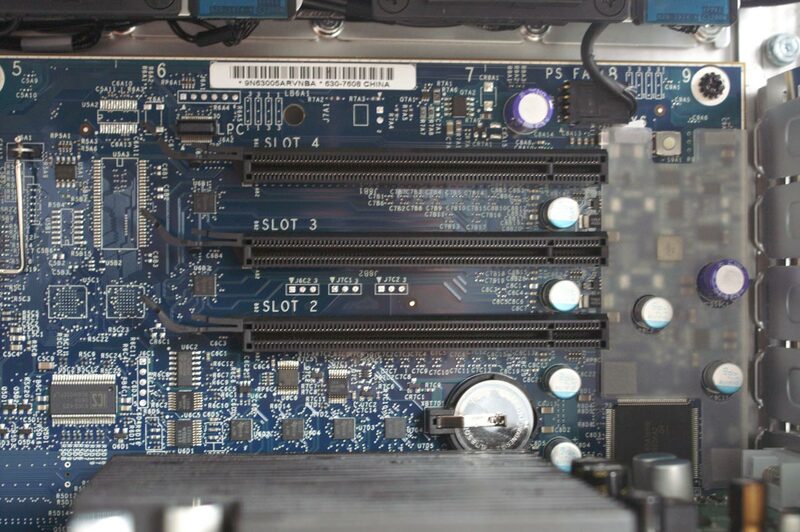 Sorry, I'm a programmer so I start counting from 0 The FAQ thread has a link to an image that shows the slots, the key point is to not put it in the slot closest to the CPUs. and yes, you'll want to use slot 2. Thanks for that because I can't even see the CPU's! Had a look at the FAQ thread but can't be certain these are the correct lead so can someone confirm please? Yes, as long as it says "Mac Pro" you're fine. Ok got the card installed and everything seems to be working great. From a gaming perspective I couldn't be happier ! I'd like to know what performance I'm getting so I've downloaded EVGA Precision X and Unigine Heaven but I'm not quite sure how to run any tests. If anyone could give me some pointers that would be great. Heaven is easy to run, install it and let it do a full run in benchmark mode with default settings and full screen. It will give you a results panel with a score like the attached one. As you can see a 5870 is Leet in Heaven. Your 670 should trounce it. So how do I find out how many MHz my card is running at?